Lipogenesis is the process by which simple sugars such as glucose are converted to fatty acids, which are subsequently esterified with glycerol to form the triacylglycerols that are packaged in VLDL and secreted from the liver. 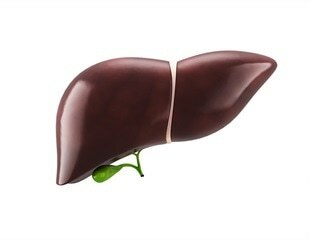 Researchers at University of California San Diego School of Medicine have discovered using mice and human clinical specimens, that caspase-2, a protein-cleaving enzyme, is a critical driver of non-alcoholic steatohepatitis, a chronic and aggressive liver condition. Scientists at Osaka University clarified that deletion of adipose oxidative stress (Fat ROS) decreased lipid accumulation in the liver, clinically improving insulin resistance and inducing metabolically healthy obesity. Fight for Sight, the leading eye research charity, has awarded grants totaling over £180,000 for thirteen vital research projects in partnership with nine different organizations. Prostate tumors tend to be what scientists call "indolent" - so slow-growing and self-contained that many affected men die with prostate cancer, not of it. But for the percentage of men whose prostate tumors metastasize, the disease is invariably fatal. A team of scientists has identified MNX1 as a new oncogene - a gene than can cause cancer - that is more active in African American prostate cancer than in European American prostate cancer. Obesity almost always increases cancer risk and worsens outcomes, but researchers led by scientists at Dana-Farber Cancer Institute report that overweight patients with advanced kidney cancer had significantly longer survival than those who were normal or underweight. In research published in Cancer Cell, Thomas Burris, Ph.D., chair of pharmacology and physiology at Saint Louis University, has, for the first time, found a way to stop cancer cell growth by targeting the Warburg Effect, a trait of cancer cell metabolism that scientists have been eager to exploit. UT Southwestern Medical Center researchers have identified a crucial link between high levels of insulin and pathways that lead to obesity, a finding that may have important implications when treating diabetes. Studying mice, researchers have found a way to prevent nonalcoholic fatty liver disease, the most common cause of chronic liver disease worldwide. Researchers have discovered a link between prostate cancer aggressiveness and the accumulation of a compound produced when cholesterol is metabolized in cells, findings that could bring new diagnostic and treatment methods. Cachexia or wasting is a condition affecting up to 70 percent of cancer patients, depending on the type of cancer. It is characterized by a dramatic loss of body weight that is independent of food intake. Cachexia is seen particularly often and most pronounced in patients suffering from cancers of the digestive tract and the lungs. Researchers at the Bellvitge Biomedical Research Institute (IDIBELL) and The Institute of Photonic Sciences (ICFO) have collaborated on the development of a diagnostic tool that identifies the metastatic ability of breast cancer cells. Metformin, a drug widely used to treat Type II diabetes, may help to prevent primary liver cancer, researchers at the University of Maryland Marlene and Stewart Greenebaum Cancer Center report in the April 2012 issue of Cancer Prevention Research. Spherix Incorporated, an innovator in biotechnology for therapy in diabetes, metabolic syndrome and atherosclerosis; and providers of technical and regulatory consulting services to food, supplement, biotechnology and pharmaceutical companies, today announced results from its first Phase 3 trial post hoc analysis in which the higher body mass index (BMI) of the U.S. population relative to the Indian population was a likely key contributor to the more positive effects of D-tagatose in the lowering of HbA1c levels in the U.S. population. Initial results were announced on October 7. A clinical trial at UT Southwestern Medical Center aims to determine whether adding the hormone leptin to standard insulin therapy might help rein in the tumultuous blood-sugar levels of people with type 1 (insulin-dependent) diabetes. Using leptin alone in place of standard insulin therapy shows promise in abating symptoms of type 1 diabetes, UT Southwestern Medical Center researchers report.